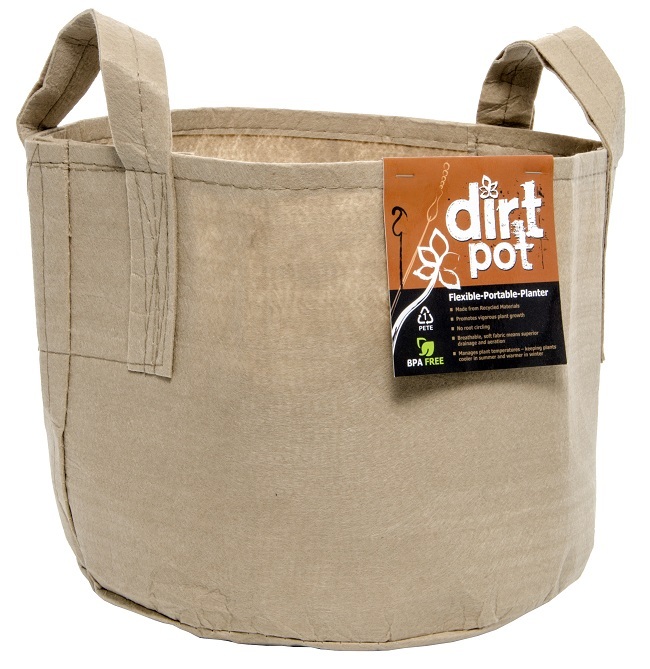 Dirt Pots grow bags are an excellent choice for gardeners who like to have the option to easily move their plants. 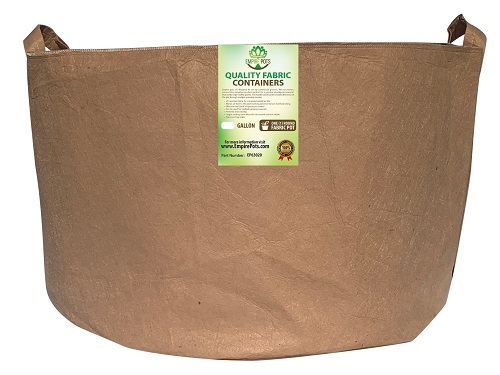 A majority of the Dirt Pots sizes come with a heavy duty full wrap around handle making moving your plant a breeze. Made in China and distributed by HydroFarm these pots are thicker than most other fabric pots on the market. Available in both black and tan these pots come in sizes ranging from 1 gallon to 400 gallons.